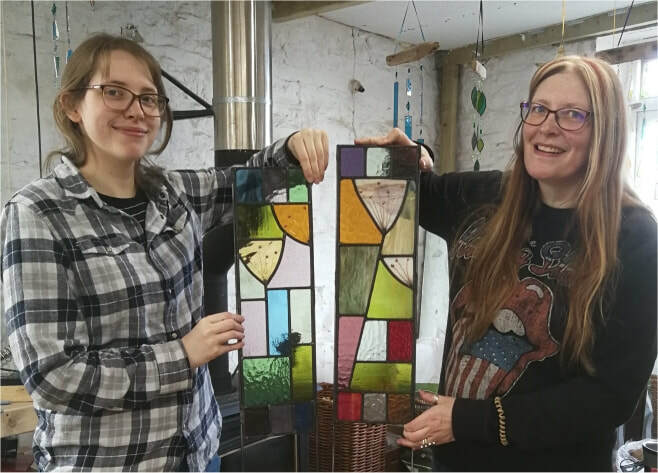 On this practical workshop you will make your own leaded stained glass garden panels to take home and display in you garden. Class size is 4-6 people depending on how many are beginners. 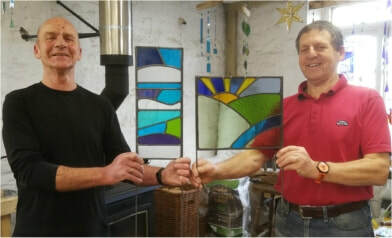 We offer a choice of patterns and a large selection of gorgeous coloured and textured glass to choose from. 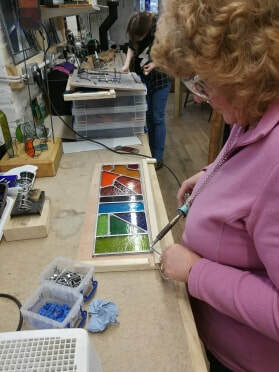 All glass, tools and materials are provided, together with refreshments and a light lunch.